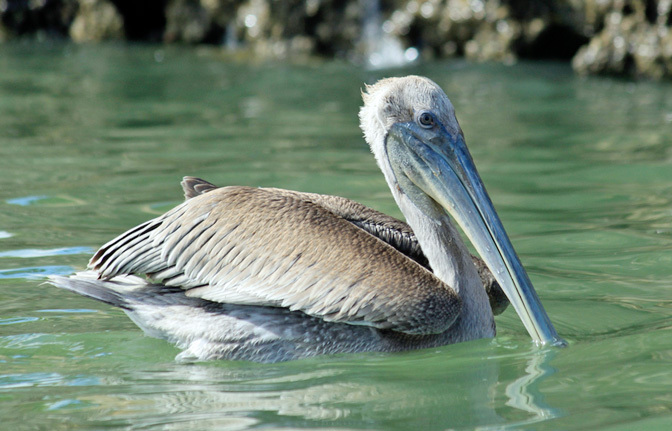 Dominican Quest invites you to explore the National Park Los Haitises. 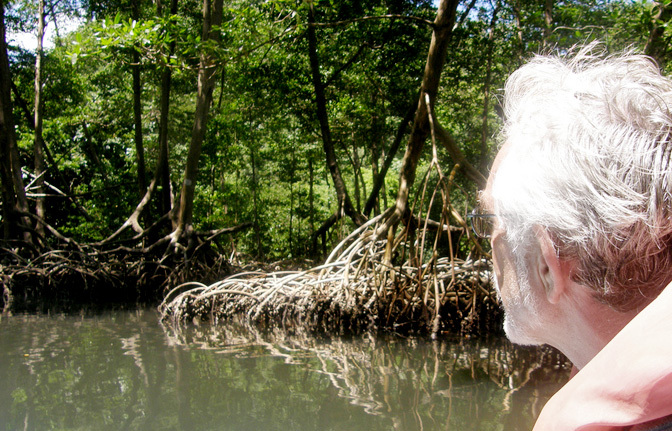 This important Preserve with a beautiful, lush Rain-Forest area is a true Caribbean oasis full of untouched mangrove forests, pirate hideouts and Taino cave drawings. 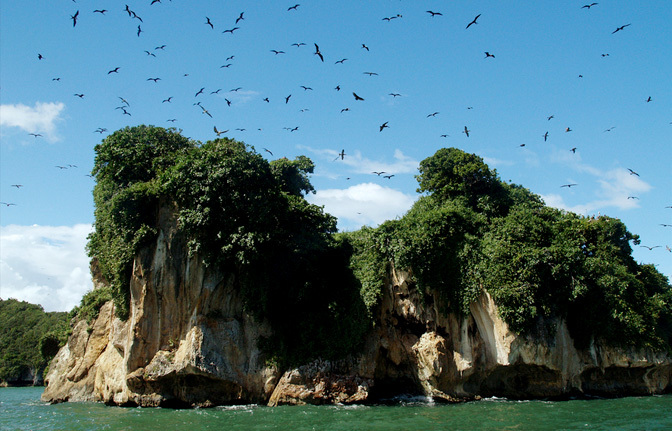 Los Haitises consists of 208 square kilometers and a moist tropical vegetation. It was declared a National Park in 1976 and it also features gorgeous rocky and sandy mountains, hills, valleys, rivers and a grand diversity of endemic flora and fauna. 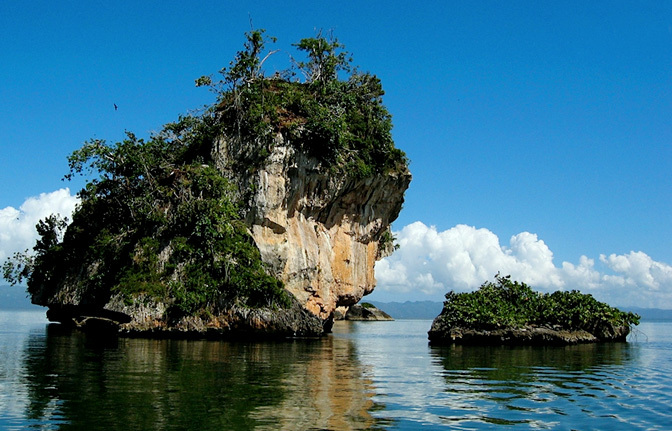 The National Park Los Haitises belongs to a Karst platform and is a good example of these kinds of geological formations in the Caribbean. 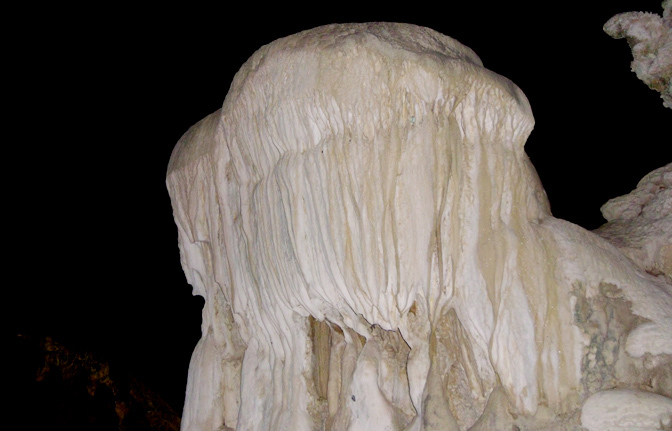 The park is home to many species of migratory and native birds and has a complex system of caves and caverns with petroglyphs and pictographs which make it the place of great historical and archeological value it is today. 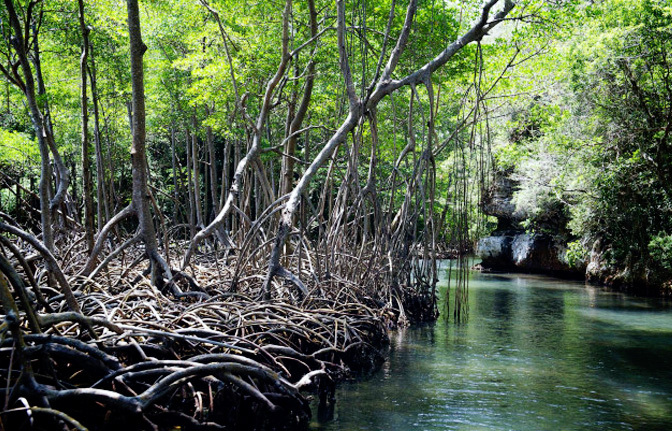 We will pick you up in one of our aircondioned buses in your hotel in Bayahibe and take you to Sabana de La Mar where we will board our boat on the boundaries of the Park to navigate through canals of majestic mangrove forests. 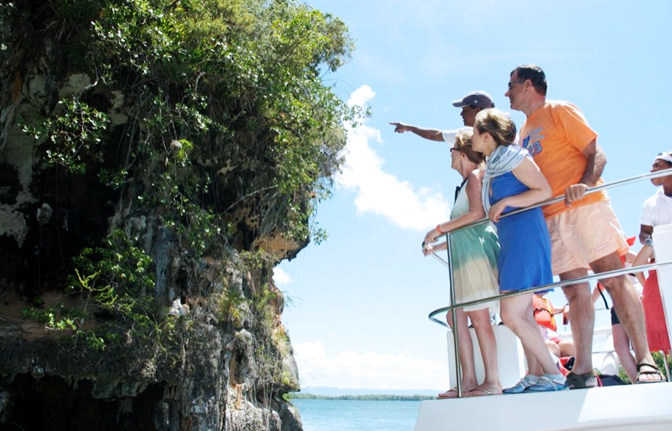 Leaving the mangrove forests, we advance to reach a scenery dominated by the San Lorenzo Bay with photo-inspiring views of the park's dense outcroppings and the elevations of the Samana Penisula in the horizon. 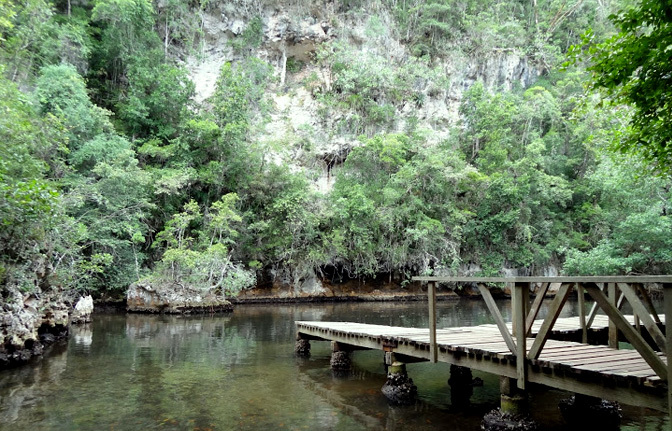 In the Park we'll visit two caves that were once a haven for the Taino Indians. 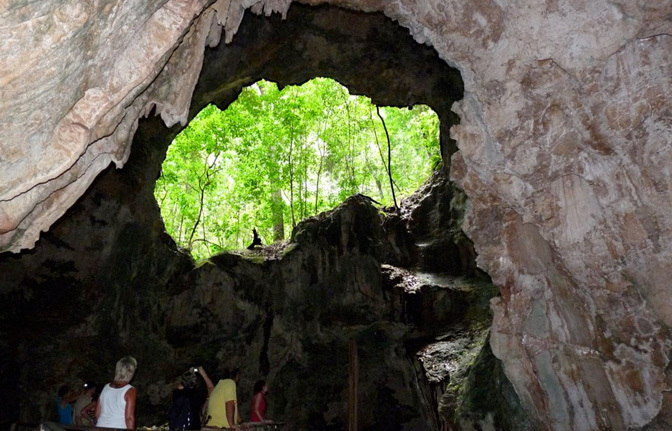 The first will be the "Cueva de la Arena" which is located on a secluded beach and houses several waterfront caverns which hold multiple Taino sculptures and also countless bats in their natural habitat. The second cave we'll visit is the "Cueva de la Linea", which is located immersed in the forest and is filled with Taino pictoglyphs, giving us a better idea of how the Taino Indians lived before the arrival of the discover of America, Christopher Columbus. When it's time to eat we wil have lunch at a small ranch deep in the region's countryside with lush vegetation and even an amazing waterfalls where you can also take a bath!